This six-month, $7 million eco-friendly renovation included the installation of a 417 kW photovoltaic system that has effectively eliminated residents’ monthly electric bills. 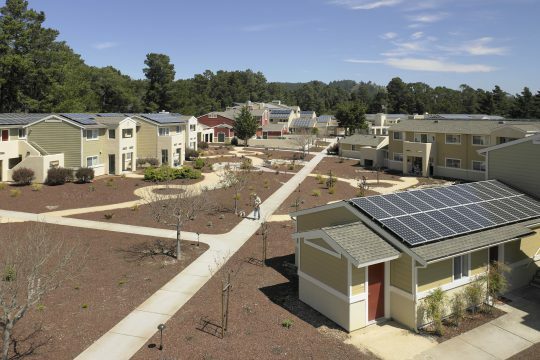 The $2.3 million system was made possible by the receipt of federal tax credits for renewable energy, as well as incentives provided by Pacific Gas & Electric through its Multifamily Affordable Solar Housing (MASH) program. 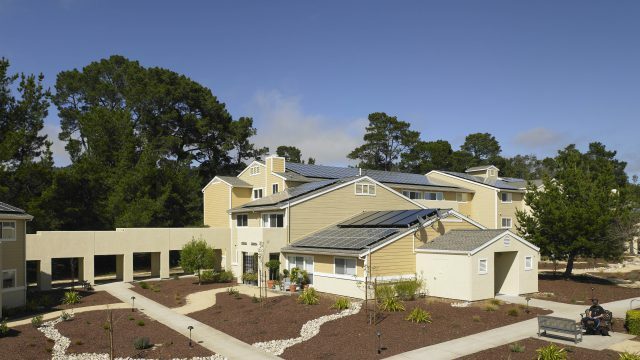 This project has about 2.1 kW/unit and approaches net zero. 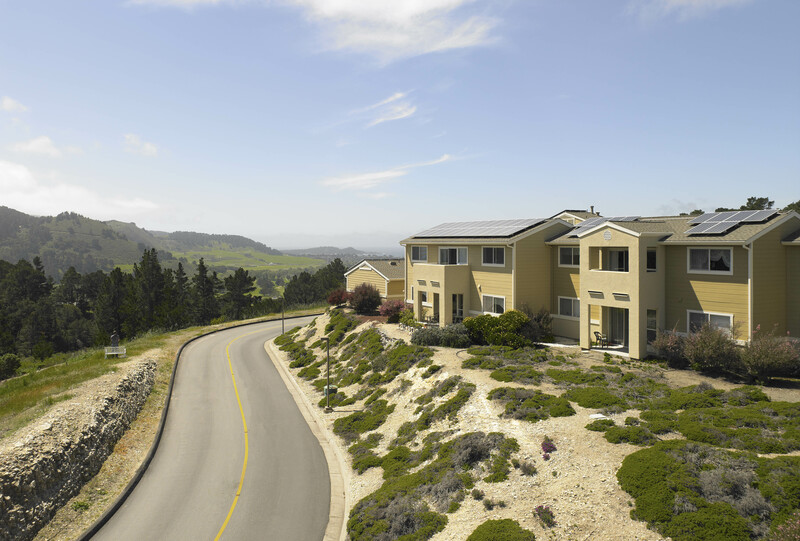 Virtual net metering (VMEM) allows allocation of power to individual units and corresponding increases in rent for owner thru the California Utility Allowance Calculator (CUAC). 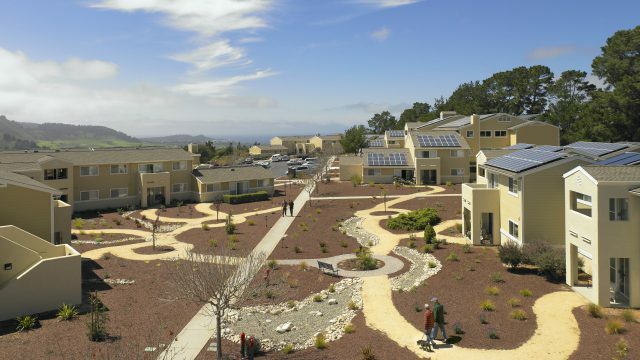 Other campus improvements include solar thermal panels, drought-tolerant landscaping, lighted walkways, exterior paint and siding, new interior fixtures, carpet and energy saving appliances. 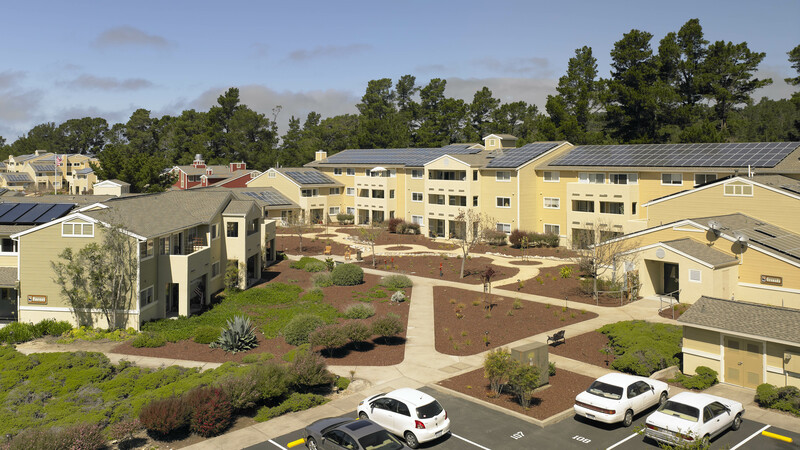 Those changes were paid for in large part by the proceeds of tax-exempt bonds, low-income housing tax credits and debt restructuring.